We’ve done it, we’ve told the world. So it’s officially happening…on Friday 17th November, the big Appeal Night, I’ll be singing and dancing LIVE on BBC1 for Children in Need! Gulp. I’ve been bursting to tell you all for months and, truth is, while I’ve had to keep the news quiet part of me didn’t quite believe it was real. But now that it’s out there I cannot wait to perform again. And in the same Elstree studio where Jo and I enjoyed so many amazing memories last year. Since we launched this year’s appeal a month ago, we’ve been asking everyone to fund-raise in their own special way. From baking to knitting, juggling to rock-climbing – ‘Do Your Thing’ – the brief has never been so easy nor so open. For me, it couldn’t have been more appropriate. So when Children in Need asked if I’d like to take the stage all over again, there was only ever going to be one answer. The question was what to perform. Not for the first time, we turned to the maestro. Without giving too much away, we’ll be recreating another classic routine performed by Gene Kelly in ‘Singin In The Rain’, yet more happy memories flooding back. And it’s an exclusive performance for the Appeal night, a one-off show we really hope will get people on their feet and donating to an amazing charity. It will be such an honour to take the mic and slip my dancing shoes back on. Especially alongside some incredible acts – Rita Ora will be live in the studio while the Leading Ladies of Amber Riley, Beverley Knight and Cassidy Janson will be bringing their West End stardust to the stage. And Mr Craig Revel Horwood himself, aka Miss Hannigan, and the cast of Annie are set to perform while Katie Melua will sing the official CiN single, Fields of Gold. As lots of people will know Strictly reignited a real passion for performing so I never stopped dancing. And I decided to to take up professional vocal coaching pretty much since the Strictly Live Tour finished. We’ll find out pretty soon whether the work has paid off. The safety of the shower curtain will definitely be gone! I hope you all enjoy watching it as much as I enjoy doing it. Oh, and the Appeal night is live on BBC1 on my birthday, so it’ll definitely be one to remember! 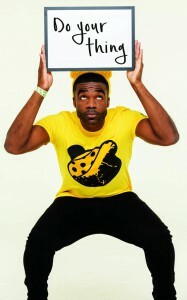 Do YOUR thing for Children in Need this year, get your Pudsey ears on, get fundraising and I guarantee it really will change lives. 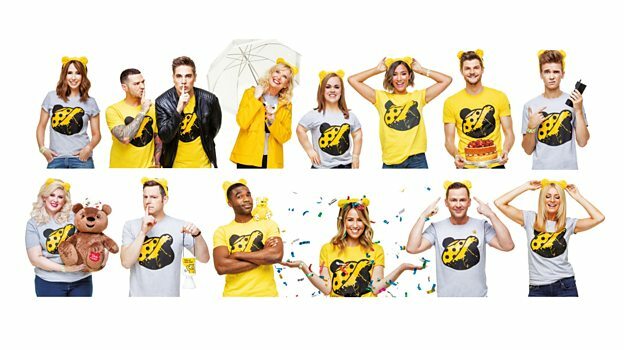 There’s lots of detail about the 2017 appeal, including fundraising packs, on the official website bbc.co.uk/pudsey. For more information about Ore’s performance click here.